Please accept our humble and sincere apologies for letting our blog go un-updated for so long. We appreciate the support and connection to you all that it provides. We will do our best to stay more up-to-date. In the near-future we will post some stories about the latter half of our trip to SE Asia, including the 3+ months we lived in Cambodia. But for now, on to the present. Today we find ourselves on the island of Roatan, just off the northern coast of Honduras. Roatan is a world destination known for its diving. The reef here is the 2nd largest on the planet. We arrived here on Wednesday, 2/18 (after snow canceled our scheduled flight a day earlier – we don’t miss the snow). It is a beautiful island with tons of diving, and our goal was to find jobs working in the dive industry. I am very happy to be able to share with you that so far – so good. We have hooked on with a new dive shop in Sandy Bay called Blue Island Divers (blueislanddiversroatan.com). We are incredibly excited about this opportunity and look forward to sharing more with you all soon. 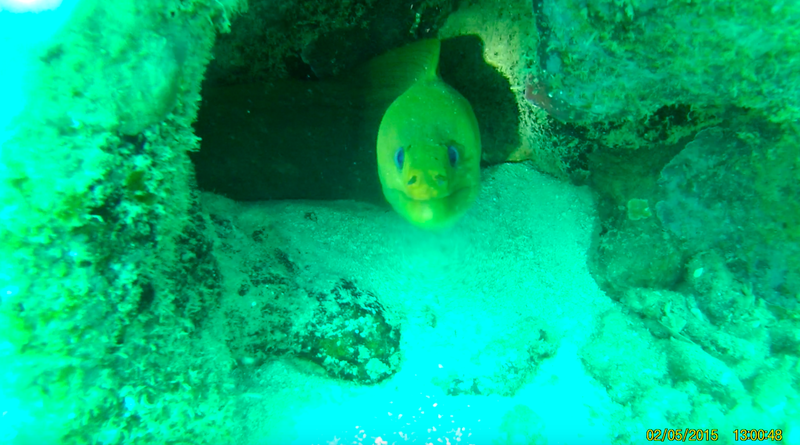 Until next time, please enjoy this screen shot from a short video we took a week ago on one of our fun dives.